The versatile Sierra Adjustable Height Desk is perfect for a multitude of applications. 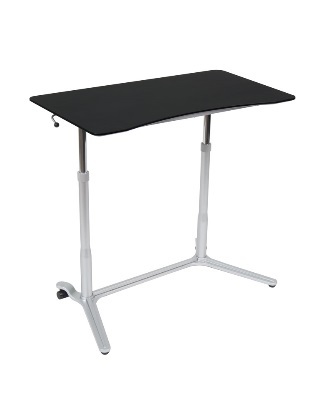 The large 37.5"W x 20.5"D tabletop is adjustable in height from 29.25" to 41.25" – perfect for sitting or standing. Easily adjust the height with an accessible adjustment lever on either side of the table. Two locking casters offer mobility and non-skid rubber feet provide stability.